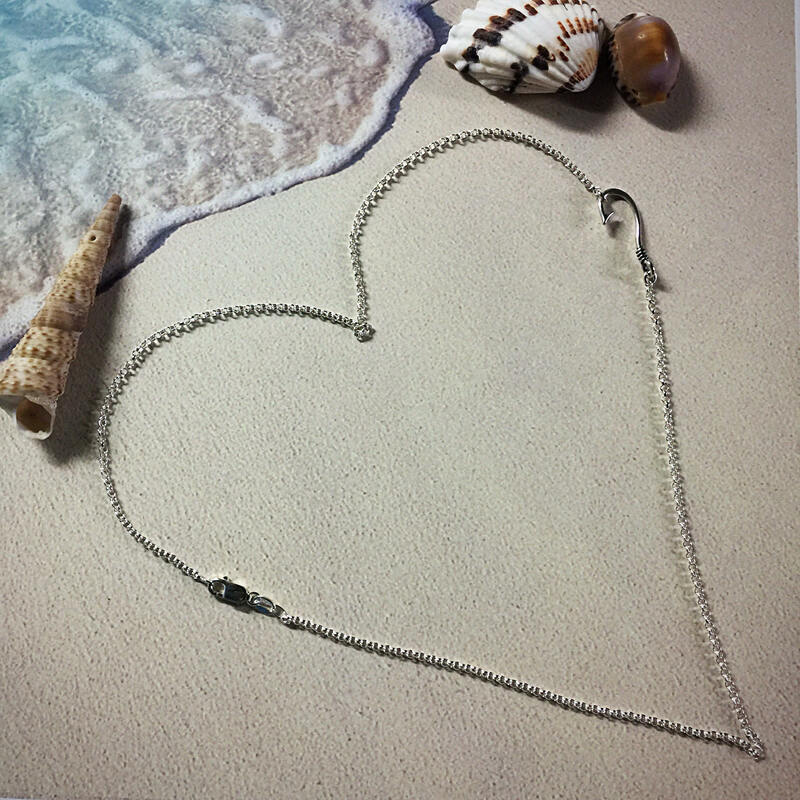 Customizable length and chain options listed below. 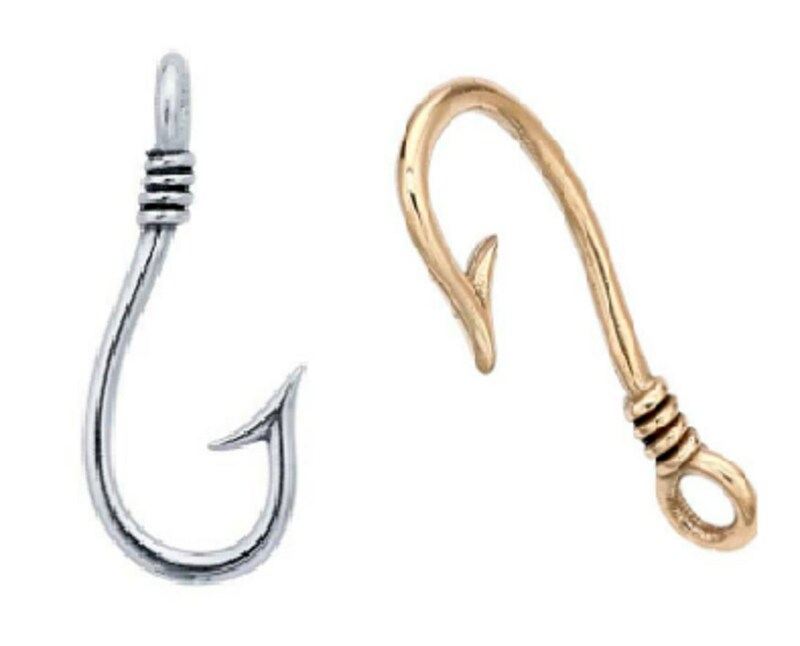 Fish Hook size is 24.5mm x 8.8mm (1/16" less than an 1" inch). 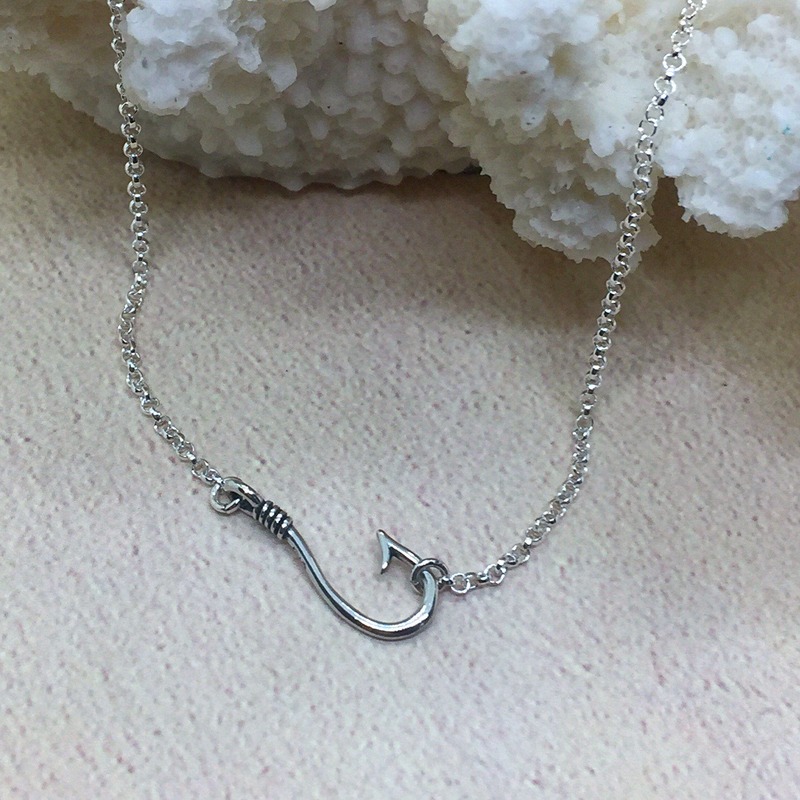 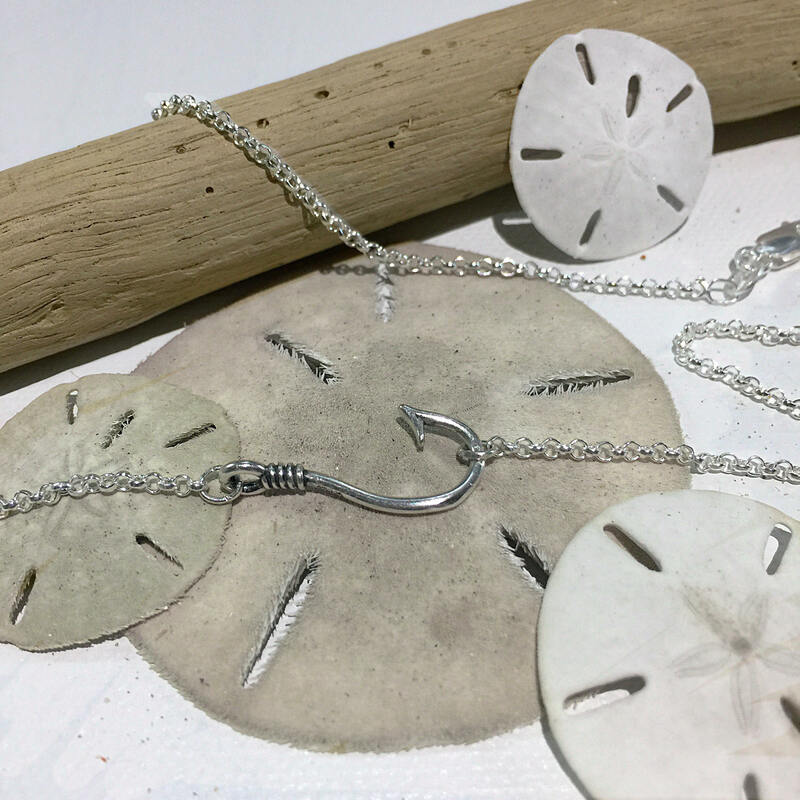 $65 for the fishhook necklace (shown). 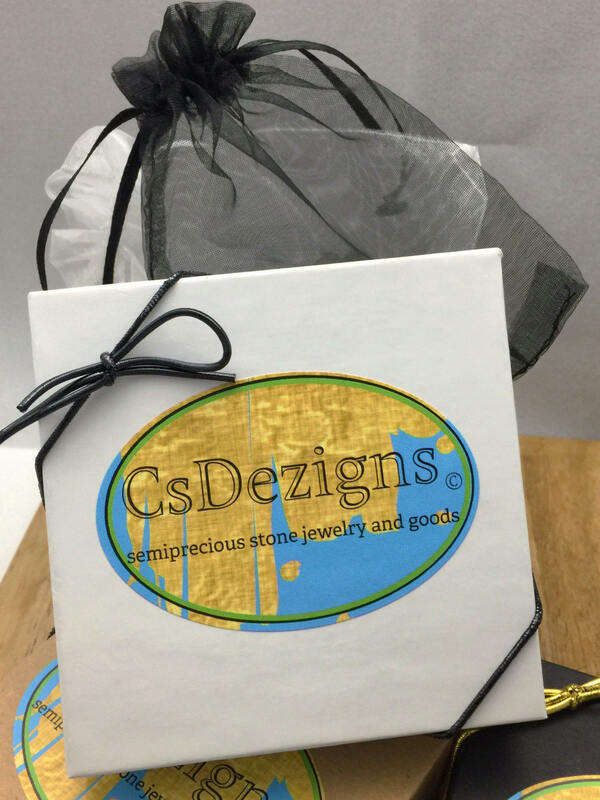 Will come package in a drawstring bag tucked in a cotton filled gift box tied with an elastic ribbon. 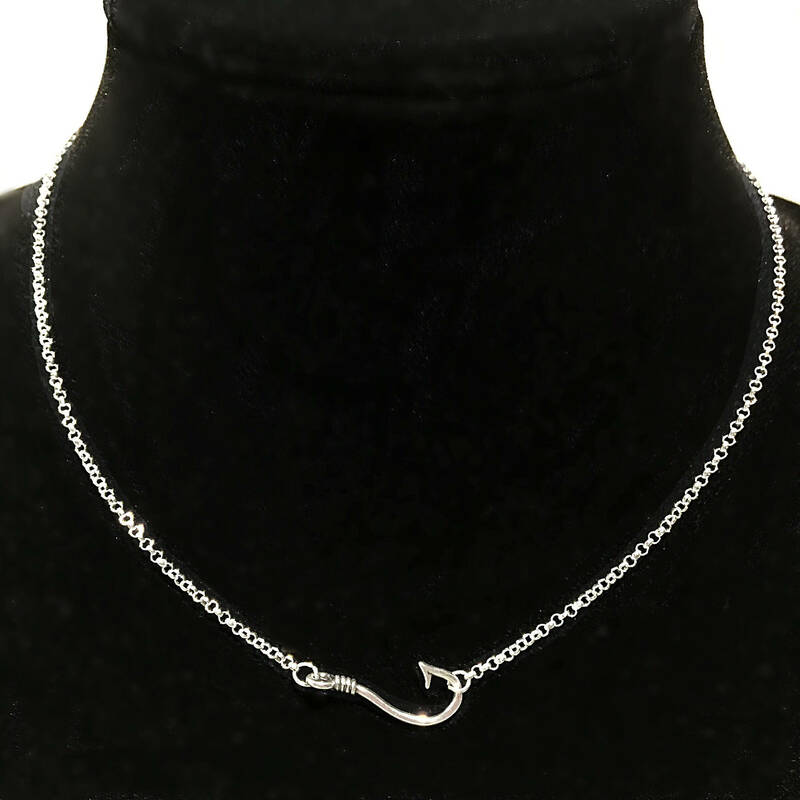 Chain & Hook Metal- .925 Sterling Silver or Golden solid Bronze. 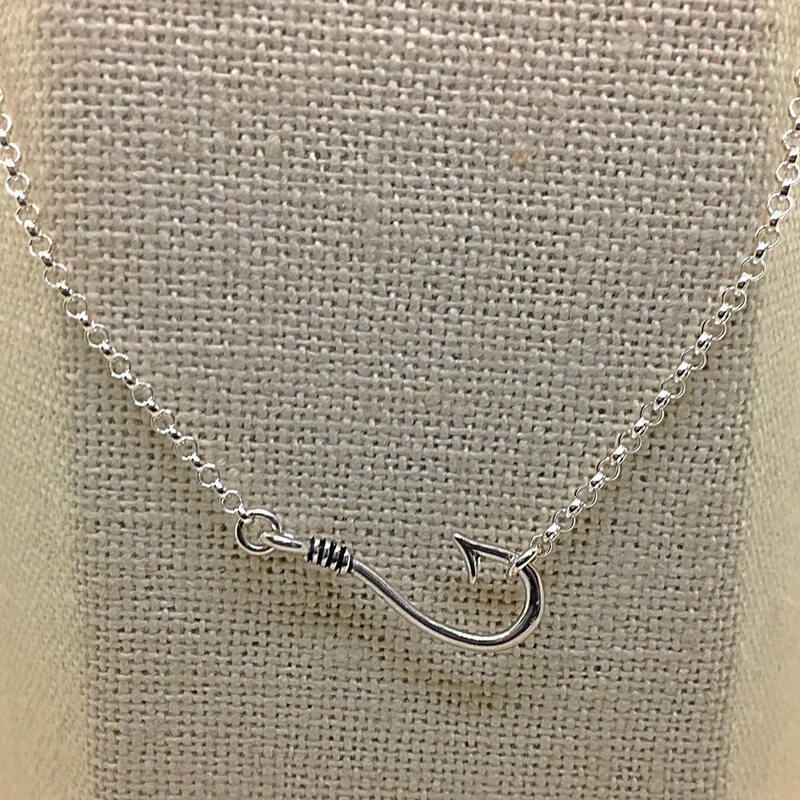 Made with a sterling silver 1.9mm rolo chain. 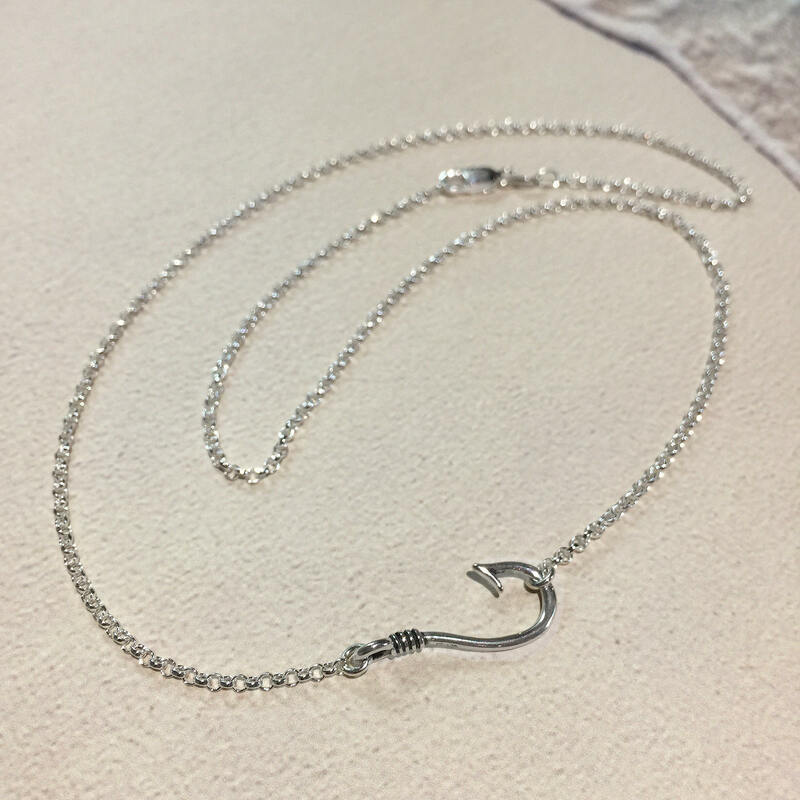 Made with a bronze 2mm oval link chain. 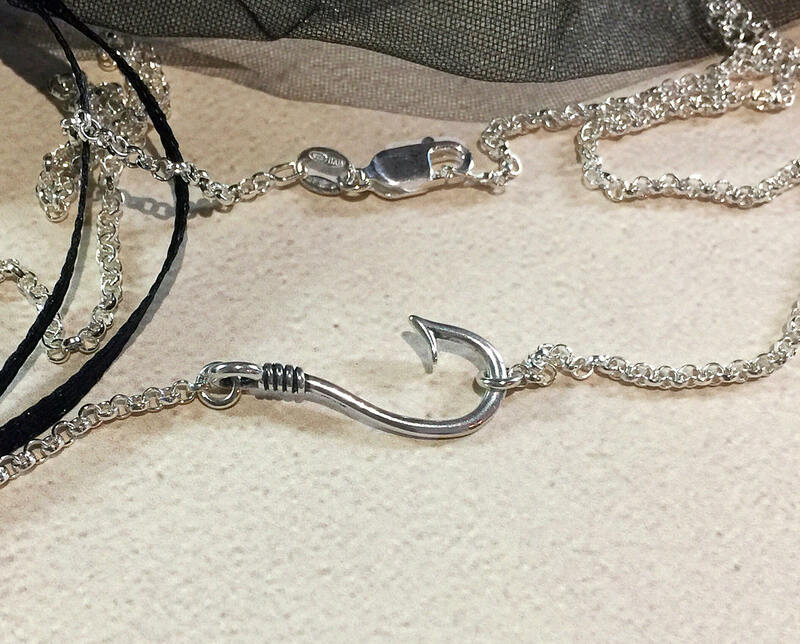 Sturdy stainless chains are available, please message me for styles.